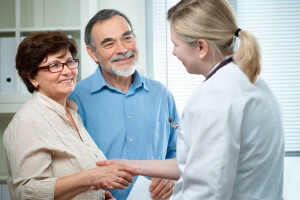 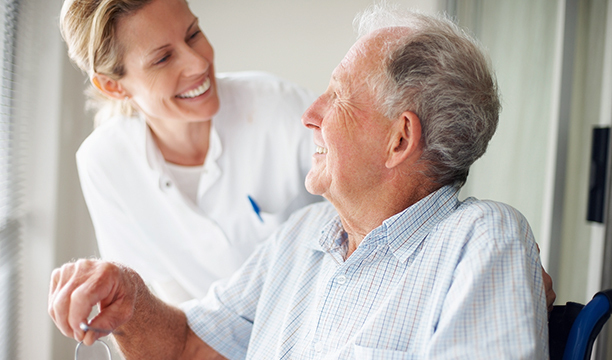 Green Village can meet the needs of patients with complex care issues by offering a combination of quality clinical and rehabilitation services. 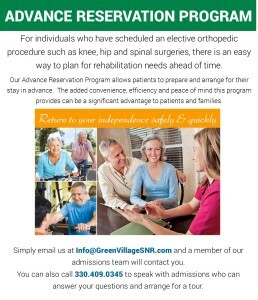 The Advance Reservation Program at Green Village Skilled Nursing & Rehabilitation is a convenient solution to pre-arrange rehabilitation, nursing, and other support services. 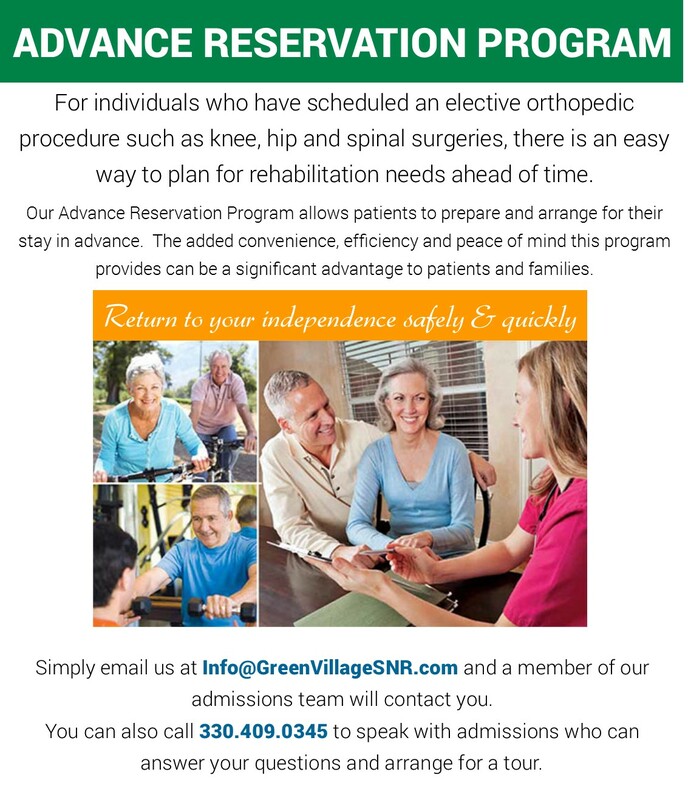 We would like to invite you to tour our facility prior to your surgery to experience everything that Green Village has to offer.